Post-Christmas is the time of year when people sit down and make their New Year’s resolutions. I won’t cause you undue boredom with my New Year’s resolutions of how I need to get back to running 10K three times a week, set aside more money for investing, and pay off my credit card in full every month etc. 😉 The last point is pertinent, because Canadians are amassing enormous debts on their credit cards and lines of credit. Trahair asks the hard questions, such as are the Canadian banks as strong as people think they are? Is the Canadian Government fiscally sound? How much debt do Canadians really have? 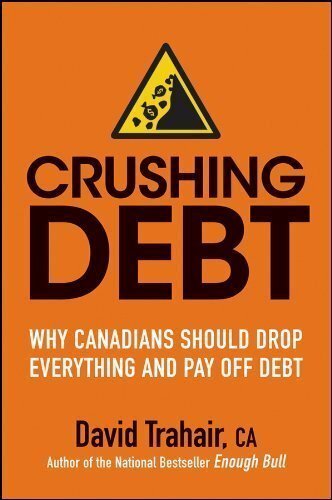 Trahair’s message in Crushing Debt: Why Canadians Should Drop Everything and Pay Off Debt by David Trahair (Nov 1 2011) Full Disclosure: We earn a commission if you click this link and make a purchase, at no additional cost to you. Crushing Debt: Why Canadians Should Drop Everything and Pay Off Debt is simple – debt is everyone’s problem. He suggests throughout the book that Canadians get their consumer debts paid off as soon as they can. This is one of my favorite reads from 2011, and you can enter to win one of two copies I’ve been sent from John Wiley & Sons! Post-Christmas 2011 and 2012 New Year’s celebrations, Canadians are waking up to an ever-increasing personal debt load with their mortgages, credit cards, and personal lines of credit. Low interest rates have led to easy credit, and most Canadians are in over their heads. By the end of 2010, the average Canadian had some $25,709 in consumer debt – excluding mortgage debt ( Crushing Debt Full Disclosure: We earn a commission if you click this link and make a purchase, at no additional cost to you. , pg.77). Low interest rates over the last few years, has led to an easy credit binge for Canadians, and a credit hangover could be looming – not only for consumers but for the banks and the Canadian Government as well. As Trahair points out, it’s just not a Canadian problem either. Debt has become a massive global problem. “Never before have the alarm bells rung louder than they are ringing now about the high debt levels in the world today. There are record levels of debt in many countries, companies, and households.” (Crushing Debt, pg.16). If you’re wondering why the Canadian Banks appear to be in such great financial shape, and think the Canadian economy is purring along, you might think otherwise after reading. The government of Canada is running a 6-billion dollar deficit each and every year, with a total deficit outstanding of over $519 billion dollars (Crushing Debt, pg.16). If the word “deficit” doesn’t mean much to you, then just use the word “loss”. It’s unlikely that this debt will ever be paid off. Trahair’s review of Canadian consumer debt and how it is intertwined with the Canadian banks, the Canadian Government, and the global economy is extraordinary. The question Trahair asks, is what happens when the government can’t afford to make its payments? It’s happened to European countries such as Greece and Ireland, and the U.S. at the last moment raised its debt ceiling to continue making its payments. Many Canadians are under the impression that the business of the big banks or what happens in Europe is far removed from their ordinary lives. But nothing could be further from the truth. Trahair shows the clear relationship between Canadian consumers, the Canadian Banks, and how we are all intertwined with the global economy. As Trahair points out early in, we only have to look back at the 2008 to 2009 Financial Crisis to realize how a sub-prime mortgage meltdown affected the entire world, from U.S. homeowners to virtually every European country, to factory workers in Asia. No one was untouched from the Financial Crisis. “If there is a significant shock to the system, like rapidly rising interest rates, a drop in house prices, or large-scale job losses, many people won’t be able to continue to pay their mortgages, let alone their credit card and line of credit balances. If that happens to a large number of Canadians, the banks will be forced to record losses on these significant receivables. In accounting terminology, it called recording “loan loss provisions,” or bad debts. Put bluntly, household debt levels are threatening the stability of the Canadian banks. “ (Trahair, Crushing Debt, pg. 62). In Crushing Debt Full Disclosure: We earn a commission if you click this link and make a purchase, at no additional cost to you. , Trahair also points out the current low-interest rate environment is an exception and not the rule (Crushing Debt, pg.16). While many Canadians are able to service their mortgages and debt loads at current levels, a change in the prime lending rate could affect many Canadians right at their bottom line – and that affects the bank’s bottom line as well. There’s a reason why the Canadian Government and the Canadian Banks are reluctant to see rising interest rates. Crushing Debt Full Disclosure: We earn a commission if you click this link and make a purchase, at no additional cost to you. is not just an academic review of the global economy. In chapter 7, How to Get out of Personal Debt, Trahair provides Canadians with a step-by-step account of how to measure their debt, what various debt ratios mean, and how this affects their credit rating. Trahair suggests that Canadians “should try to keep the ratio of total consumer debt (excluding mortgage debt) versus family gross income under 20 percent.” (David Trahair, Crushing Debt, pg. 87). If you are already over your head, behind on payments, or know you need help with your finances, then you will find Crushing Debt an excellent resource. A substantial portion of this book deals with the various options Canadians have from DMP (debt management programs) to bankruptcy, and how the process works. If you are a Canadian even close to considering either option, then I suggest you get a hold of Crushing Debt and review chapter 7, since you will find an excellent hands-on resource. Oh, and PS, if it helps, you can give me the book in person, which may save on shipping costs. Best of the Season, Dividend Ninja! I would really appreciate this book. Plus, I’m one to share my books with about 25 investing friends. I read your articles as soon as they are published and I have suggested your site to countless friends. Michel I’m always greatful to my long term readers for their unconditional support and encouragement! Best wishes to you and your family in 2012! I would love to win a copy of Crushing Debt. This topic is one of my resolutions for 2012. I would enjoy this read. That is an excellent review. I have my fingers crossed for this book and I wish you a happy new year. Agreed that debt is really holding a lot of Canadians back. Would love to give this book a read. Thanks for the thorough review. Looking forward to reading the entire book if I win and also to reading your posts in 2012. Happy New Year. Looks like a great book. Thanks for the opportunity to win a copy! While we have no consumer debt, we do have a large mortgage. I keep going back and forth on whether or not to cash in my participating whole life insurance policy and use it to pay down the mortgage a bit. If you, or any of your readers have thoughts, I’d love to hear them! Hi Kristy thanx for posting! And your in the running for the book. Thanks for the book review. John Wiley generally publishes great books, and I’m sure this one’s no different. This sounds like something I’d be very interested in, particularly given that I frequently hear people telling me what a sucker I am for paying off my debt as soon as I can. By the way, I was referred to your blog from the “Me and My Money” column in the Globe and Mail this past Saturday (December 31); yours was one of only three sources of investment information (Warren Buffet was another). Looking forward to exploring all the info here! Sounds like a quality read Ninja! I like the acknowledgement we are all intertwined, bear or bull markets. I sure he makes a great case for this. This book looks really interesting. I would love a copy! Happy New Year Dividend Ninja! Hi Ninja: I would enjoy winning the book Crushing Debt! I am fortunate to have very little debt as I have always regarded debt like a weight around my neck! Keep up the good work and Happy New year! I still need convincing that Canada is at risk with regards to excessive debt! Be’en I don’t think Trahair’s premise is as far off the mark as you think. If the average Canadian has $25K in consumer debt, which doesn’t inlcude mortgage, that’s some serious debt compounding at a high rate. The Government of Canada is running a $6 billion loss every year, which they must pay interest payments on, and the banks are highly leveraged (becuase their assets include debt – loans and mortgages). I don’t think there is any debate that low interest rates have led to an increase in consumer spending and consumer debt. I don’t think there is any debate that an increase in the bank of Canada Rate would put pressure on the average Canadian. At some point even if it’s three years we can expect an increase in interest rates, which will put pressure on the entire financial system. Thank You for this info! I was thinking of buying some Canadian Bank stocks, maybe not! This book would be a very useful tool for our kids in their 20’s, who must have everything new and instantly, no matter what it adds to the debt load. Happy New Year! Diane I own Canadian bank stocks, and I have no intention of selling them. What Trahair is trying to point out is that IF there is pressure in the financial system, it will put the Canadian banks at risk. Even if the banks were unprofitable for an entire year (i.e. loan loss provisions), they still have huge captial and shareholder equity behind them. As a fairly recent Canadian permanent resident from the US, I’m very curious to learn more about at-risk Canadian’s because I witnessed first-hand crushing debt and a lousy banking system. So far I have yet to see that in Canada. Really enjoyed Trahairs book “enough bull” as a contrary indicator (suggesting GIC’s over stocks) at almost the markets low!! And I certainly enjoyed reading your review of this book. You have peaked my interest as to Canada’s vulnerabilty and I would Love to read more!! Great to see your articles in “Canadian money Saver” and to see that Hodson has taken the helm. Enjoy reading you both. I have been following your blog for many months, and it has been great read. What I particularly like about your blog is you provide resources from other bloggers too, and not that you talk solely about your own thinking. I aim to follow as much of your advice as possible in my everyday life in Canada, and shall do the same even when I am not inside Canada. I do share a lot of your thoughts with many peers from outside of Canada as well, and many find them very applicable in other parts of the world. You are a worldwide figure now. I am sure the book is a great read for everyone. To end of, I recalled reading in an earlier article of yours that the per capita household net worth has sank to $180,100 from $184,700 in the second quarter of 2011, and that this has been the sharpest drop since the end of 2008. This figure was provided by a reputable statistical agency in Canada (for which I can’t remember, sorry about this). And based on this article, the average Canadian had some $25,709 in consumer debt. For simplicity, using the figures above, we are saying the debt-to-networth ratio of the average household is at least 14.7%. I said at least because here, I am taking into account the debt-load of one single person in the household. Other members of the same household may have debts too. Trahair has a point in his book. I’d love to read the rest of it and share further opinions. Cliff WOW I don’t know what to say, and thank you very much for the kind words! 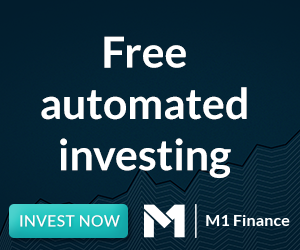 I would be delighted to hear from international readers, becuase I’m sure investing strategies are pretty much the same world wide – dividends or indexing. In fact, Andrew Hallam really covered that point in his new book Millionaire Teacher. The article you are referring to is not my article, but Trahair pulled the $25K figure from a Transunion report for 2010 Q4 results. That figure as you mention is per person, not household. That figure is also consumer debt (lines of credit and credit cards). It doesn’t even include Mortgage figures. (see Crushing Debt pages 77 to 78). Trahair’s book, is well simply excellent! The more I read the more I learn! The best $300 I ever spent was used to buy ScotiaBank stock in 1974 I think. It has grown very nicely with a DRIP. Thanks for all the great reads and I would love to read Crushing Debt. You do justice to dividends and the book review is encouraging. Hopefully we will find a way out of this worldwide omnipresent financial mess! My 2 eldest kids seem to be turning a corner and learning to live within their means and save some money too. Unfortunately, the marketers are really good at getting people to spend more that they should. As a fairly ‘newbie’ investor, your blog provides great insight and information to digest. Thanks! Would love to add another resource to my list and read Trahair’s book!